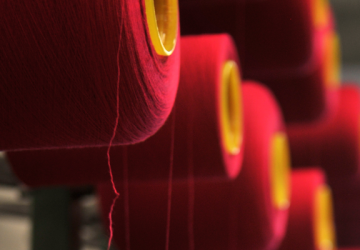 Tirupur textile industry is today poised for a big growth. Tirupur looks set to exploit overseas orders that are getting diverted from Bangladesh and China, where the industry is increasingly facing issues related to workshop safety, labour rights, higher wages and political uncertainty. 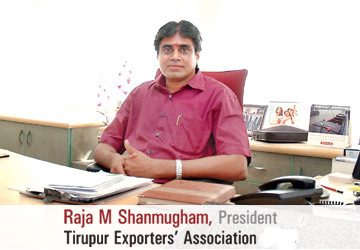 Exports from Tirupur stood at Rs. 240 bn in 2017-18 as against Rs. 260 bn in 2016-17. 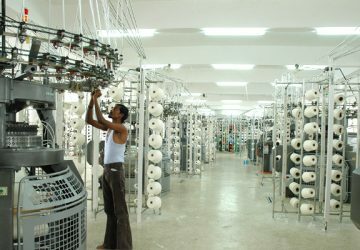 Tirupur accounted for around 46.57 per cent of the total knitwear exports from India, which is estimated to be around Rs. 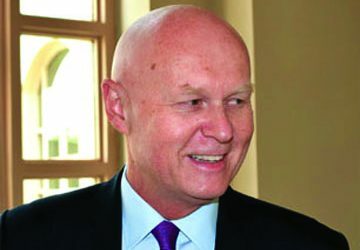 515.26 bn in 2017-18. 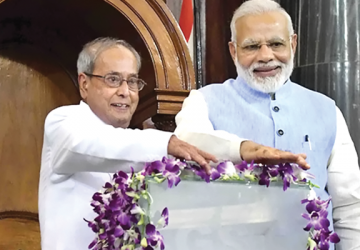 Meanwhile, the industry recently got affected due to recent increase in prices of raw materials, including cotton, which rose nearly 10-12 per cent or Rs. 240 a kg to Rs. 250-260 a kg. 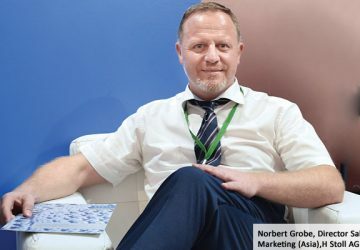 Dyers have also increased prices by around 15 per cent from June as the cost of raw materials for dyes have gone up by 30-50 per cent. Despite of all this the industry is looking positively towards 2018-19 to achieve better results as these decisions are going to benefit textile industry as a whole in long term. 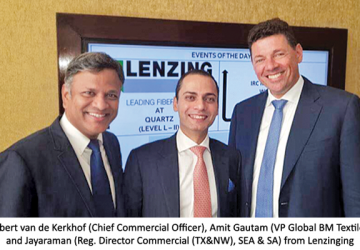 The current supply and demand factors provide very conducive and favourable business and market environment for the technological investment. 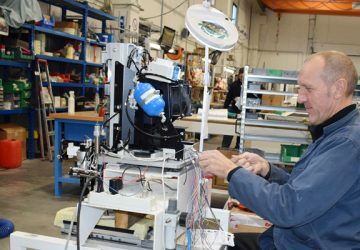 In such scenario, there is a big need to the industry to upgrade itself with the latest technological and other developments taking place worldwide. That is why for providing these under one roof Knit Show 2018 was organised recently in Tirupur. 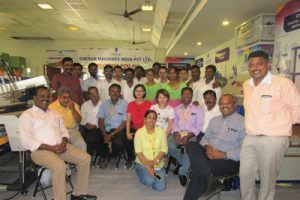 The 18th edition of Knit Show, one of India’s biggest garment accessory and machinery shows featuring a gamut of products for knitwear manufacturers was held at the Velan Hotel Fair Ground, Tirupur from August 5-7, 2018. The show organised by City Leaves, was inaugurated by Hon. Min. for Animal Husbandry Thiru Udumalai K. Radhakrishnan and members of major knitwear technology and exporters associations in Tirupur. 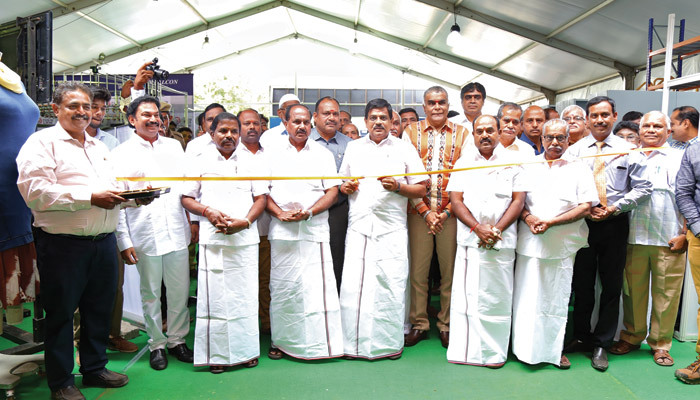 The inauguration ceremony was Presided by Dr. A Sakthivel (Chairman FIEO (SR). The event began with traditional lighting of Kuthuvilakku, by Hon. MLA S. Sunasekaran, Hon. MLA K.N. Vikeyakumar, Hon. MLA Karaipudhur Natarajan, Raja M Shanmugam (President, TEA). Guests of Honour for the event were M Ashokan (Commissioner, Tirupur Corp), AC Eswaran (President- SIHMA), Ahill S Rathinasamy (President – KNITCMA), KP Govindasamy (President – TEKMA), S Nagarajan(President – Dyers Association), TR Srikanth (President – TEKPA), MP Muthurathinam (President – TEAMA), Ahill Mani (President – TIF), N Vivekanandhan (President – SIIMKA), CS Haravanan (President – TIPDA), R Kalyana Sundaram (President – CEA), KS Babuji (General Secretary – SISMA). Vote of thanks was presented by H Krishna & M Mahendran (Organizer – Knit Show). 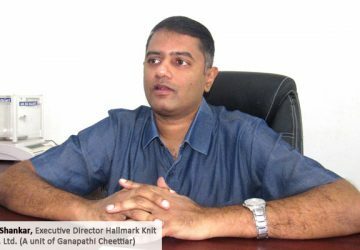 A Sakthivel, Vice-President of the Apparel Export Promotion Council, said the garment industry faced slump in business. To give a boost, the Union Government has enhanced the export incentive package. 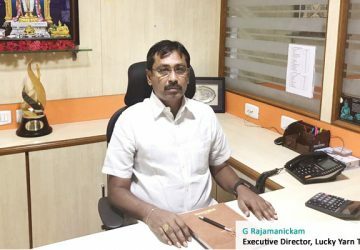 Tirupur Exporters Association President Raja M Shanmugam said that the exhibitions and trade fairs brought new businesses to industries in Tirupur. Participation in Knit Show invariably leads the exhibitors to rendezvous with potential customers. 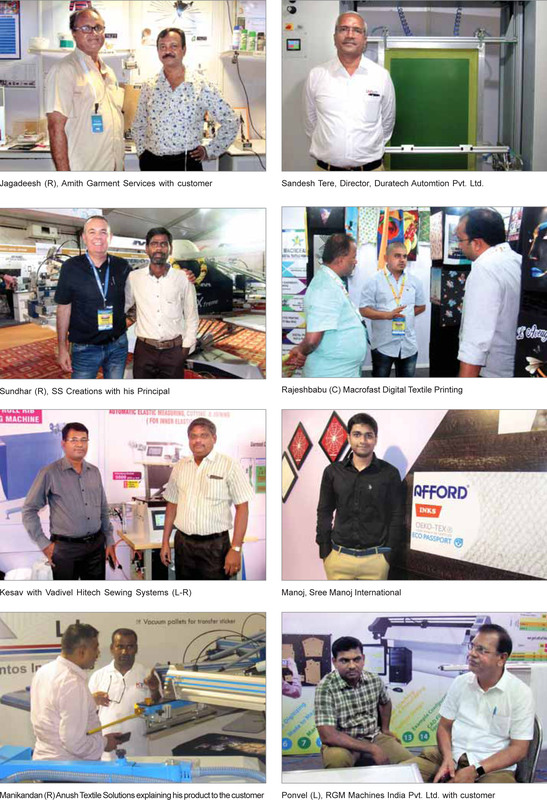 Around 500 exhibitors set up at the fair arena and the event attracted participation from exhibitors not only from Southern region but all over India showcasing latest models of textile machinery, fabrics, printing inks and apparel accessories. 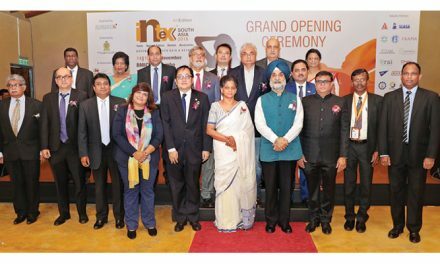 The event saw the participation of almost 500 exhibitors from the textile and apparel industry. 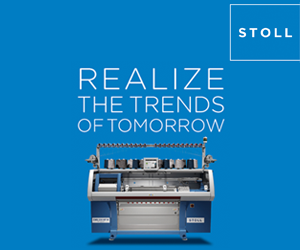 Screen printing, sublimation printing and garment manufacturing machines were the show’s major highlights. 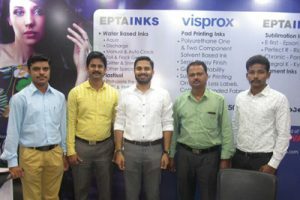 Ink manufacturers and traders, and accessories companies were also seen in good numbers at the show. 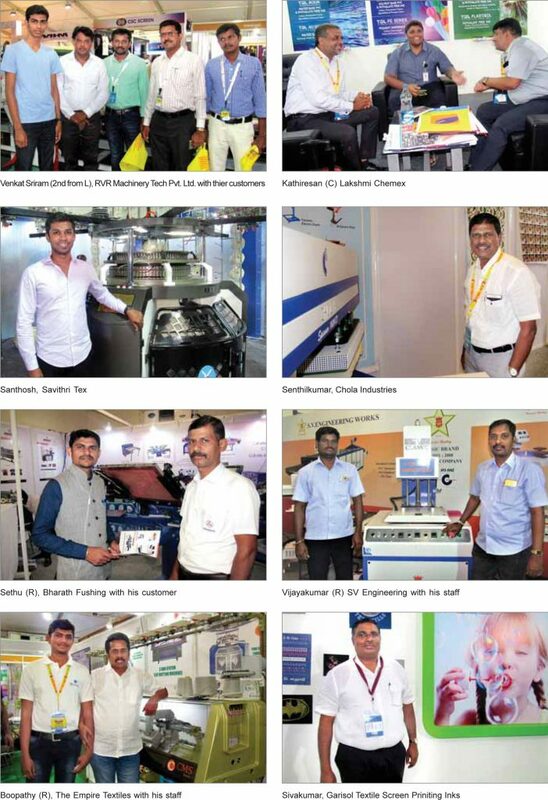 Some of the leading companies that participated in this show were Spoorthi technologies (SROOQUE) , SS Creations (MHM), DCC, Hitech Sewing Machines, Empire textiles, Cheran Machines, Chola Industries , Bharath Fushing, RVR Machines, Skyknit Equipments, RGM Machines, Golden Falcon India Pvt Ltd, Lakshmi Chemex, Lakshmi Bio Chem, Amma Colours, Nova Machines, Texman Printing, Mehala Machines, SSS Machines, Superfine Embroidery & Jobworkers and Accessories Companies. 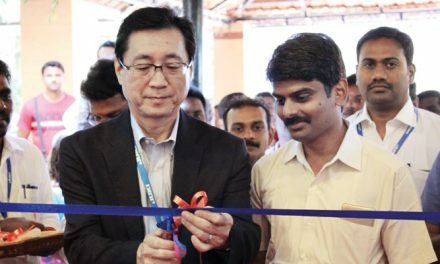 According to the organisers, the edition was visited by over 22,000 visitors from all over India especially from Kerala, Delhi, Bombay, Bangalore, Hyderabad, Chennai, Kolkata, Madurai, Tiruppur to name a few. When compared to last year, the show was visited by more no. of visitors this edition. 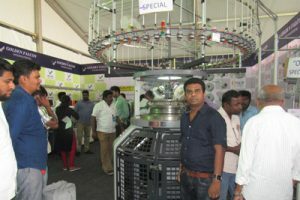 “The show is designed to provide a platform to link manufacturers of machinery, inks and other accessories with the buyers in Tirupur knitwear industry. 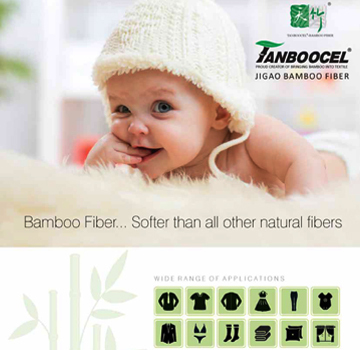 The buyers get the advantage of choosing from among a wide base of products. 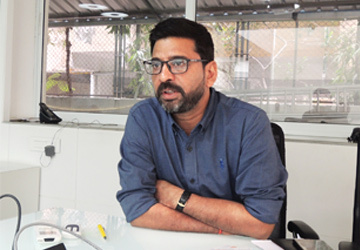 Says H Krishna, Director of Knit Show Trade Exposition. 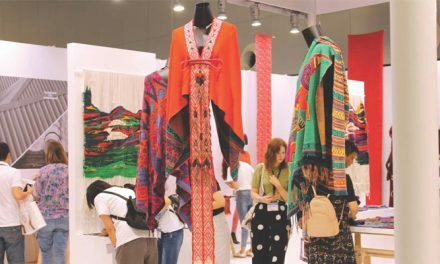 The main products on exhibit included: yarns, laces, textiles, dyes, embroidery machines, zippers, fabrics, sewing threads, pouches, hangers and laser tools. 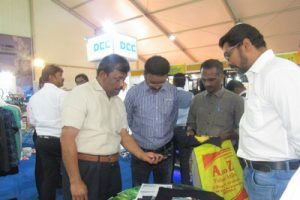 Office automation systems, gen sets, safety appliances, pantone books, heaters, cyber promotion solutions and many other related items were also exhibited at the show. 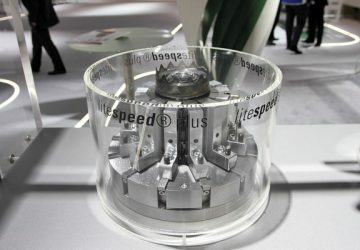 Buttons, weighing machines, packaging equipment, material testing devices, flock prints, heaters, material handling tools, bamboo, mélanges, strapping equipment, fusing devices, rubber patches, holograms, laboratory supplies, oils, lining tables, stain removing equipment and processing machines were also displayed.